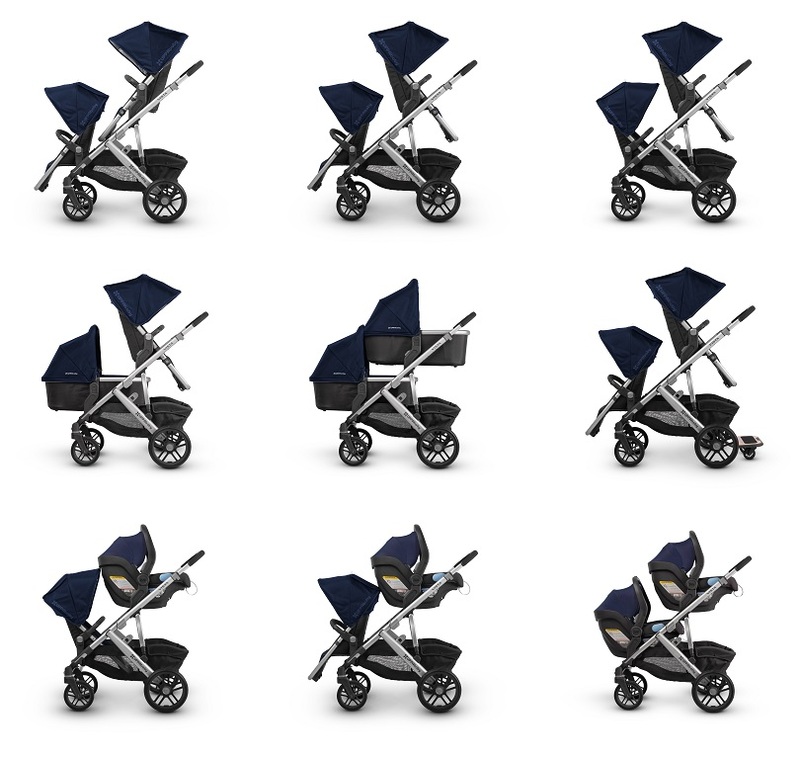 The VISTA’s intuitive design allows for multiple configurations, making transporting a second and third child a breeze - all while strolling like a single. 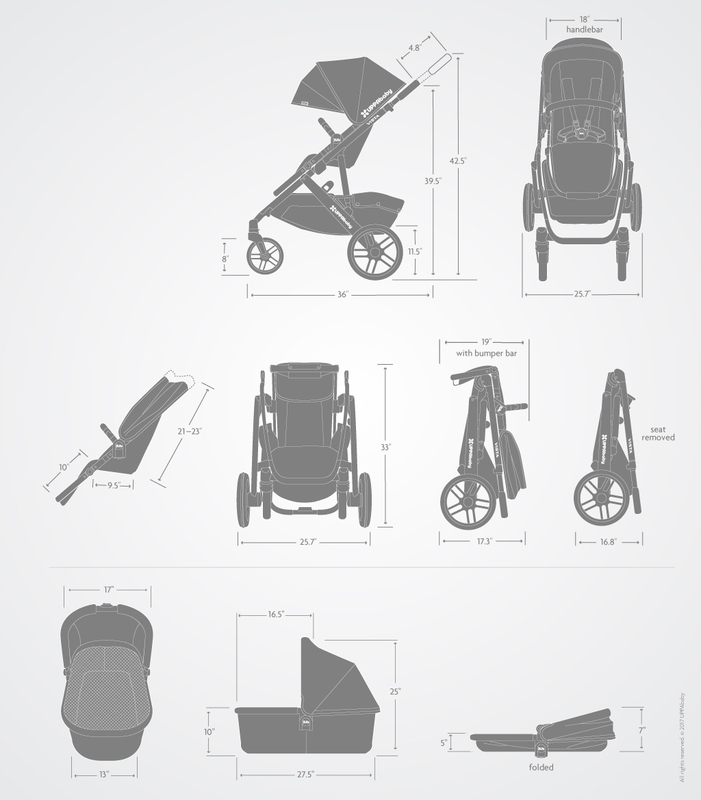 The Uppababy Vista Gregory stroller really is this well thought out. Where do you want to go today? With the Uppababy Vista Gregory, you’ll get there in comfort and style, whether you are bringing one little one, or three! Adaptability is important, especially to a growing family, and this Uppababy blue stroller is definitely adaptable, giving you the ability to customize your ride while delivering greater convenience and quality than ever before. Taking a trip to the grandparents in the Uppababy Vista Gregory stroller offers a safe place for baby to sleep? Our Bassinet depth and ventilation create a secure overnight sleeping solution. Rest easy! In the Vista Blue Stroller 2018 Uppababy Vista Gregory edition includes a bassinet perfect for naps and rests while you are on the go. With just one hand you can detach the bassinet from the Uppababy blue stroller and carry your sleeping infant anywhere. Water-repellant inner liner: The inner liner repels spit up, sweat, and other liquids, keeping baby’s sleeping surface dry and comfortable. Our included toddler seat is built to match your child&#39;s developing size and curiosity in the Uppababy blue stroller. Your toddler can ride forward, backward, completely upright, fully reclined and anywhere in between so your adventurous little one doesn’t miss a thing. Telescoping handlebar: The Uppababy Vista Gregory stroller offers an adjustable handlebar to make it comfortable for drivers of varying heights to stroll with baby. All 2018 Vista include Leather Bumper Bar Cover and Leather Handlebar cover. Vista Jake 2018 comes with leather cover in black color. All the other vista comes with leather covers in Saddle color. Constructed of premium, full-grain embossed leather for a rich and classic look, that easily wipes clean from drink spills, dirt and mysterious messes. This luxurious upgrade on the Vista blue stroller is available in Black or Saddle and easily zips over your existing VISTA, CRUZ or RumbleSeat Bumper Bars. Taking your kids out for a stroll has never been easier than it will be with your new Vista silver stroller. It can handle whatever you want to throw at it. How many little companions will be with you? One? No problem, whether you need a bassinet, a Mesa car seat, or a fully-reclining toddler seat (forward- or rear-facing). Two kids? Still no problem. Simply add another bassinet or seat, as desired. Three little ones? Once again, no problem when you add the piggyback seat. We’re ready for you! on hands and knees, whichever comes first. Contact Active Baby for more details on the Uppababy Vista Gregory stroller.